These findings revolutionize the understanding of the prehistory of the island, until now believed to have remained uninhabited until the arrival of peoples of Austronesian stock some 1500 years ago (with some scattered evidence of earlier inhabitation but nothing too conclusive). New archaeological data pushes back the first colonization period to some 4000 years ago, a time when Malayo-Polynesian culture was still restricted to, roughly, the Philippine archipelago. Past research on Madagascar indicates that village communities were established about AD 500 by people of both Indonesian and East African heritage. Evidence of earlier visits is scattered and contentious. Recent archaeological excavations in northern Madagascar provide evidence of occupational sites with microlithic stone technologies related to foraging for forest and coastal resources. A forager occupation of one site dates to earlier than 2000 B.C., doubling the length of Madagascar’s known occupational history, and thus the time during which people exploited Madagascar’s environments. We detail stratigraphy, chronology, and artifacts from two rock shelters. Ambohiposa near Iharana (Vohémar) on the northeast coast, yielded a stratified assemblage with small flakes, microblades, and retouched crescentic and trapezoidal tools, probably projectile elements, made on cherts and obsidian, some brought more that 200 km. 14C dates are contemporary with the earliest villages. No food remains are preserved. 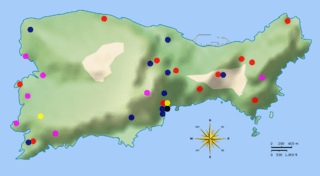 Lakaton’i Anja near Antsiranana in the north yielded several stratified assemblages. The latest assemblage is well dated to A.D. 1050–1350, by 14C and optically stimulated luminescence dating and pottery imported from the Near East and China. Below is a series of stratified assemblages similar to Ambohiposa. 14C and optically stimulated luminescence dates indicate occupation from at least 2000 B.C. Faunal remains indicate a foraging pattern. Our evidence shows that foragers with a microlithic technology were active in Madagascar long before the arrival of farmers and herders and before many Late Holocene faunal extinctions. 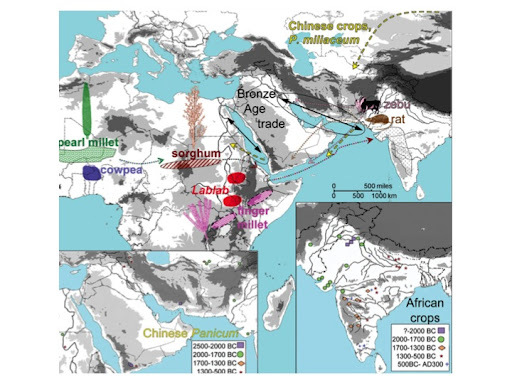 The differing effects of historically distinct economies must be identified and understood to reconstruct Holocene histories of human environmental impact. Notice that this colonization is also older than the Bantu expansion and therefore these settlers must have been pre-Bantu peoples of East African roots. The sites are located in the North tip of the island, what is consistent with arrival through Comoros, the most natural route between East Africa and Madagascar, which requires the sailing of some 190 miles (~350 Km) of open sea. Otherwise the narrowest extent of the Mozambique Channel, between Angoche and Tambohorano, is of some 460 Km. 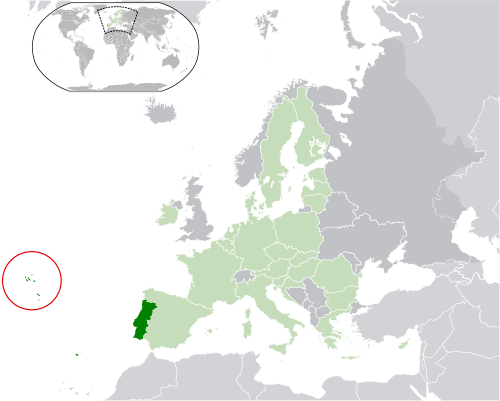 The small island or Juan de Nova (uninhabited except for a military garrison) lies to the south of this other potential sailing route. The toolkit found in the key site of Lakaton’i Anja includes many microliths, as well as some larger tools, made of chert and obsidian. This last must have been brought from far away, as there are no sources of the volcanic glass in Northern Madagascar. An important point is that these new dates show that human inhabitation did not kill the Malagasy megafauna right away but that instead humans and giant animals shared the environment without immediate catastrophic consequences, which would only happen in the last two millennia. Partial source: Rhett A. Buttler, Madagascar occupied by humans 2,500 years earlier than previously thought, Wild Madagascar (via Pileta). Continuing with the joint series of articles on the expansion of Homo sapiens, David Sánchez published last week an interesting piece[es] on the original colonization of Australia and Papua at Noticias de Prehistoria – Prehistoria al Día, which I’ll try to synthesize here. The sites of Nauwalbila I and Malakunanja II have provided similar dates: 60-50 Ka BP (OSL) and 61,000 BP +9,000/-13,000 (TL) respectively. So we can safely discard the conservative approach that only allowed for at most 50 Ka as earliest colonization boundary for the Oceanian continental landmass. The depiction of a Genyornis, giant duck-like bird extinct before 40 Ka, in Australian rock art ago also supports a very early date for the settlement of Australia. In Highland Papua human presence is also confirmed to at least 49 Ka ago, as I reported in 2010. 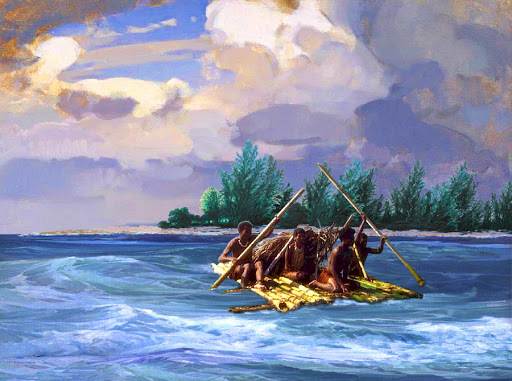 Such a journey was attempted with a similar but larger raft, equipped with a simple sail named Nale Tasih 2. This craft had no trouble in reaching the continental platform of Australia from Timor in just six days and they actually managed to reach the modern Australian coast, although they desisted of beaching by night in the middle of a storm in an area infested by the largest crocodiles on Earth, being evacuated by the coastguard instead (the barge was later recovered in perfect state). According to news reports, Juan Jesús Cantillo the University of Cádiz has argued in his (successful) doctoral thesis that the exploitation of marine resources in Benzú Cave (Ceuta, North Africa) has some 250,000 years of antiquity instead of the mere 100,000 that has been proposed for such kind of economy by other scholars always in search of absolutist dividing lines between what is “modern human” and what is something else. 99% of the coastal resources exploited by the ancient inhabitants of Benzú are limpets, albeit of a variant quite larger than modern ones. 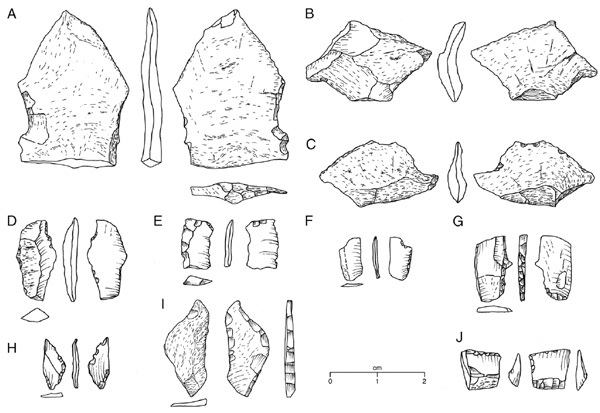 While no bones have been found that could inform us of the human species involved in this economy of coastal exploitation, some artifacts appear to be similar to those used by Neanderthals across the Gibraltar Strait. If confirmed, this would also imply intercontinental navigation, even if across a narrow strait of maybe some 5 km (in the worst of the Ice Ages, today it has 14.3 km). Source[es]: El Pueblo de Ceuta (h/t Pileta de Prehistoria). I could not find the thesis online yet but it says it was successfully defended earlier this month. 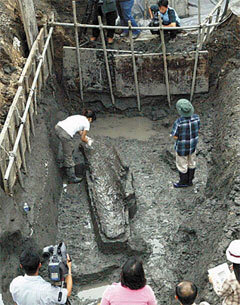 The remains were originally uncovered in 2005 in Ujin but only now it seems to have reached the international media. They are made of camphor wood and are stratigraphically from the Early Neolithic period (c. 8000 years ago). The artifacts show how advanced carpentry was already in that period. Sources and more details: Yahoo Groups: Austric, Korea Times, Yonhap, Delta World, Pileta[es]. 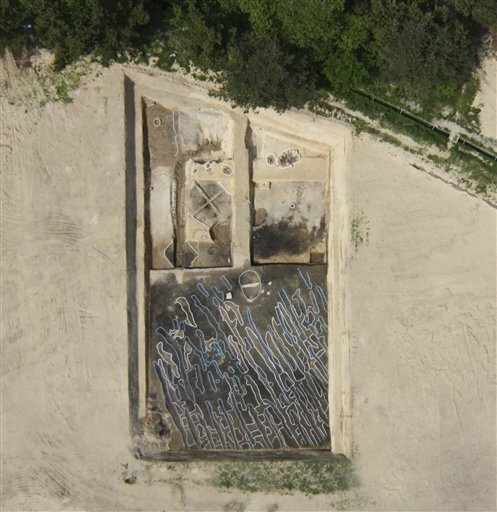 In a related news item, the remains of the oldest known Korean farm were unearthed at Goseong earlier this year.